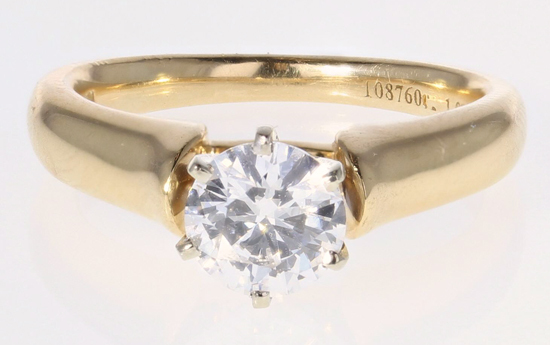 This vintage solitaire ring features one of the most perfect diamonds possible! Weighing 1.00 carats, it is internally flawless, with no visible inclusions even at 10 power magnification. Additionally, the color is D, the highest color grade which indicates that there is no tint. The diamond is described on a GIA certificate.